You will love this amigurumi cat! You can use this cat or kitten for play or Halloween decoration. 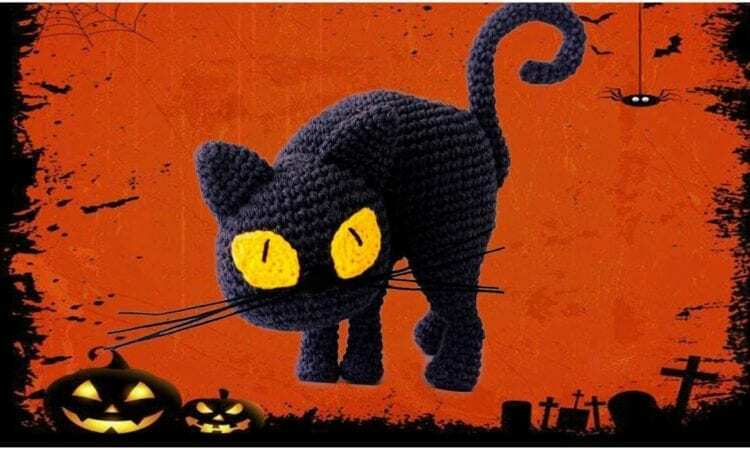 Black and yellow colors makes it spooky, just in time for Halloween, but you can crochet this amigurumi cat in any color you like and it still look gorgeous. Your kiddos will enjoy this amigurumi cat toy. Video tutorial for beginners is also included. The link to the full pattern is below. Amigurumi Cat Crochet Pattern – the free pattern is here. For more ideas and free crochet pattern join our Facebook group.